Contact Legal & General customer services on their UK phone number 01737 370 370 for all general enquiries about your insurance policy, life policy, ISA savings account or pension. Contact Legal & General on their customer service phone number 01737 370 370 for all general enquiries about their range of financial products. Existing customers may also dial this helpline to notify advisors about a change in personal circumstances such as moving to a new address so that your account may be updated accordingly. Lines are open from 8am-8pm Monday-Thursday, 8am-6pm Friday and 9am-5pm Saturday, therefore you should note that they are closed on Sunday as well as UK bank holidays. Calls are charged at standard local rates which are determined by your specific landline or mobile provider, however you will be able to contact Legal and General for free if you have inclusive minutes as part of your tariff deal. Phone Legal and General on their dedicated contact number 0370 900 3110 for home insurance enquiries including getting a quote for a new property, renewing your cover for a further year and cancelling your policy. In the unfortunate event that your house has been affected by an incident such as fire, flooding or theft you may call this helpline for advice on how to make a claim. Please be aware that Legal & General offers several home insurance policies, therefore carefully consult the table below to find the correct helpline to call for your specific enquiry. Call Legal & General on their telephone contact number 0370 900 5578 for customer service requests about their range of landlord insurance policies. For example if you have acquired a new property you can phone this helpline to add it to your existing policy, however your monthly premiums may be affected as a result. Likewise if you need to be compensated for accidental damage or loss of rent you can call this number to make a claim on your landlord insurance policy. Phone Legal & General car insurance on their customer service contact number 0344 874 0710 to get a quote on a motor policy, to renew your existing vehicle cover and to notify their advisors that you have sold your car meaning you wish to cancel your insurance. Furthermore if you have been involved in an accident or your car suffers a technical failure on the roadside you may call this helpline to make a claim. The Legal & General car insurance helpline 0344 874 0710 is open 8am-9pm Monday-Friday, 9am-5pm Saturday, 10am-4pm Sunday and 9am-5pm on public holidays (excluding certain dates such as Christmas Day). Calls are charged at identical rates as standard local calls, which means you can contact Legal & General for free if you have inclusive minutes on your tariff. Phone Legal & General pet insurance on their dedicated contact number 0370 060 2729 for policy renewals, cancellations and claims. Here you can also get a quote on the cost of their cover depending on the breed of animal you own, please remember to submit accurate information about your pet otherwise your right to claim may be invalidated. Similarly you should call this helpline to confirm their excess charges as these vary according to factors such as your pet’s age, weight and your previous claims history. Contact Legal & General on their UK phone number 0370 050 0962 to get a quote for the cost of family legal protection which insures you during certain court cases which include employment and property disputes. If you are summonsed to court you can dial this number for assistance on making a claim so that you can pay for your lawyer support. Phone Legal & General travel insurance on their customer service phone number for quotes on the cost of a single or multi-trip policy, including adding additional cover such as skiing insurance. Please remember to submit accurate information about your age and any pre-existing medical conditions otherwise your right to make a claim may be invalidated. If you or a loved one is affected by an accident or medical incident whilst abroad you may examine the table below to find the correct phone number to call. Phone Legal and General (L&G) customer services on their lifestyle insurance phone number 0370 900 3119 to get cover which protects your income in the event of an illness, accident or redundancy. Likewise you should call this helpline should you wish to renew your policy after the standard annual period. If you need to make a claim following a loss of income you should call this helpline for confidential advice. Contact Legal & General via their dedicated telephone number 0370 163 0657 for general enquiries about all their life insurance policies which include over 50’s cover, income protection and critical illness policies. In the unfortunate case that you suffer a bereavement you can phone their trained advisors for confidential advice and to claim on your loved one’s policy. 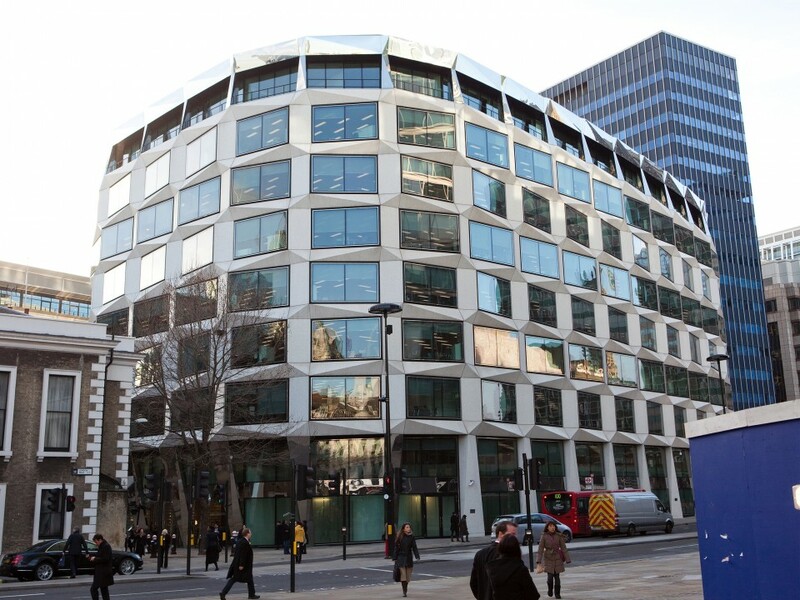 Contact Legal & General on their London head office phone number 020 3124 2000 to make a formal complaint about a denied insurance claim, negligence which led to a loss of your investment funds and unfair changes to your private pension agreement. Similarly if your mortgage repayments have increased without prior warning you can phone this helpline to request compensation against the overpaid amount. Alternatively you can send a letter of complaint directly to their head office postal address: Legal & General, Capital One, Coleman Street, London, EC2R 5AA, United Kingdom. Contact Legal and General for free on their pensions freephone number 0800 048 2446 to discuss their various retirement products such as individual stakeholder pensions, employer plans and ‘With Profits’ policies. You may also call this helpline once you have retired to ascertain how you can start claiming your regular pension payments. Similarly you should call this helpline to report an unexpected change in your payment amount so you can confirm tat there has not been a technical error. Please have your policy number along with the type of plan you hold to hand so that your query can be processed as quickly as possible by Legal & General staff. 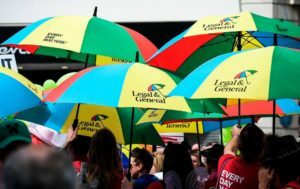 Contact Legal & General group protection on their UK phone number 0345 072 0751 to apply to join their life and income protection schemes which cover several members under the same policy. For example if you are an employer you can call this helpline to get a quote on the cost of protecting your employee’s livelihoods in the event of serious illness or accidents. If you need to make a claim following an incident you may dial this number to reach an advisor for their employee assistance programme who will subsequently guide you through the compensation process. Contact Legal & General Bank on their business-rate phone number 0845 609 9610 for enquiries about your mortgage deal, for instance you may call this helpline to enquire about changes in their interest rates which are affecting your repayments. Likewise you can call this helpline to release equity from your property by remortgaging or taking out a lifetime mortgage. Be aware that this is a business-rate line which is charged at 7p per minute plus your network’s access fee which may be significantly more expensive for mobile customers compared to landline calls. Phone Legal & General technical support on their UK contact number 0345 073 0785 for troubleshooting advice about their My Account platform. For instance if you are unable to login as you have forgotten your details you can call this helpline to get either your username or your password reset. Similarly if the funds in your account are incorrect you can dial this number to report the mistake so that their advisors can fix the issue. Contact Legal & General on their dedicated phone number 0370 050 0955 for all general enquiries about their investment products which include bonds, endowments and ISA savings accounts. Therefore you can call this helpline to ascertain their current interest rates and investment risk. Existing account holders can also phone this number to add more money into their portfolio or to make a withdrawal, however be aware that managing some of their products must be conducted via a professionally accredited financial advisor. If you are too busy to phone Legal & General through their helplines you can contact their customer service staff in writing by sending a letter to the relevant office or via their email address. You can even post public messages to their social media profiles, which also advertise promotional rates for their various financial products. Legal & General Insurance Limited, The Podium, Centre City House, 5 Hill Street, Birmingham, B5 4US, United Kingdom. Customer Admin Team, Legal & General Assurance Society Limited, City Park, The Droveway, Hove, East Sussex, BN3 7PY, United Kingdom. Group Protection, Legal & General Assurance Society Limited, Knox Court, 10 Fitzalan Place, CF24 0TL, United Kingdom. Legal & General Mortgages, Customer Services Centre, North of England House, Doxford International Business Park, Sunderland, SR3 3XG, United Kingdom. Customer Services Centre, Legal & General Investments, PO Box 6080, Wolverhampton, WV1 9RB, United Kingdom. Contact Legal & General via email by using their online customer service address customer.relations@landg.com which is suitable for all general enquiries. Please note that they may take up to 48 hours to respond to your queries hence emergency enquiries should be directed to their helplines. You may post general enquiries and view promotional materials advertising Legal & General’s financial products via their range of social media profiles. However please remember that you should not include sensitive payment details which could be used to fraudulently access your account.